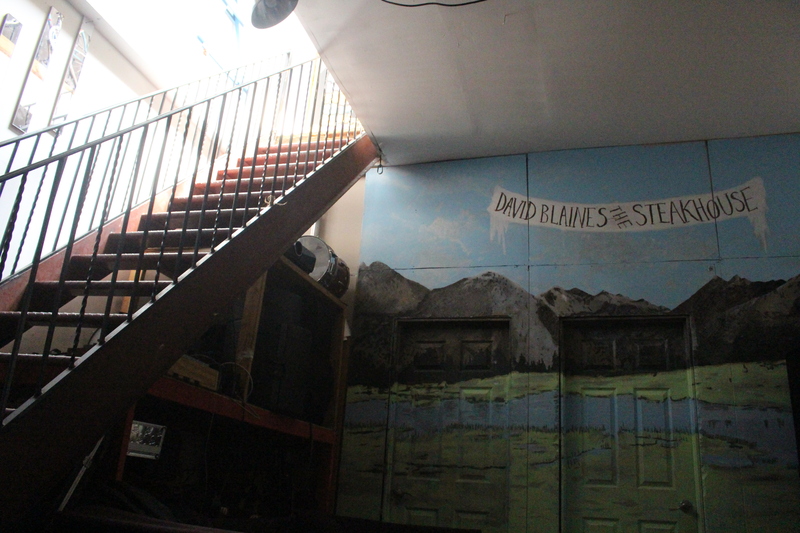 The first building I stepped foot inside of after moving to Brooklyn in June was David Blaine’s The Steakhouse (DBTS for short). Montana and the Marvelles were wrapping up a practice and it took less than a minute for things to start coming across as familial. It was a sense that continuously expanded as time passed, making it incredibly clear that it was a venue that helped foster a tight-knit community of like-minded people. It’s in that spirit that the DBTS: BS compilation series was created. DBTS: BS1, the first entry into the series, was a collection of demos, outcasts from a variety of notable projects all connected to the DBTS family in one way or another. It was an intriguing project that helped kick off would what prove to be a remarkably successful year for the residents of DBTS and their wide-reaching network of ridiculously talented friends. Now, just ten months after the debut compilation, they’re issuing a sequel, DBTS: BS2. All of these songs are either sourced from idling projects, covers, castoffs that would otherwise be bound for homelessness, or early stage demos. Members of LVL UP, Downies, Slight, Porches., Painted Zeros, Glueboy, Bethlehem Steel, and Big Ups all contribute material through either their main vehicle, a side project, or as a solo or collaborative effort. It’s an impressive effort from a collective that keeps spreading outward and gaining momentum without ever losing sight of a steadfast commitment to a DIY ethos. So, with all of that in mind, it’s with honor and admiration that I present the premiere of DBTS: BS2, the latest step forward for the makeshift family that’s given me a place that’s easy to consider as a home. Initially, this was going to be a name-your-price ordeal for a limited time with all proceeds going towards funds to their neighbors at The Silent Barn, who are still running repairs after the venue caught fire several weeks ago. However, the presence of covers on the compilation prompted justified concerns over legal matters. Even with that being the case, The Silent Barn could still use as much help as they get, so if this is a compilation you find yourself enjoying, please consider showing your appreciation in the form of a donation to aid their recovery. Stream DBTS: BS2 below and watch a collection of live footage from DBTS shot over the summer beneath the embed.